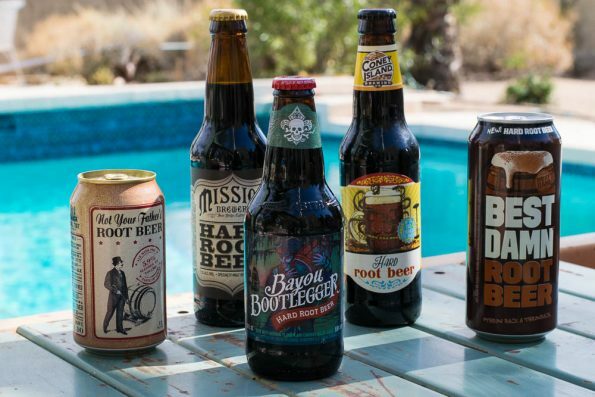 Hard Root Beer Showdown: Who Will Float to the Top? Not Your Father’s Root Beer- Not Your Father’s Root Beer blends hints of sarsaparilla, wintergreen, anise, and vanilla creating the most root beer like flavor of the group. In fact, if you were not told this was alcoholic, you might not realize it. Best Damn Root Beer– Best Damn Root Beer’s hard root beer is aged on real vanilla beans during the brewing process. The flavor was a bit more bitter and more reminiscent of a root beer hard candy. Chad noted that as he drank it more, it mellowed a bit. Abita Bayou Bootlegger– Abita’s Bayou Bootlegger has aromas of wintergreen, vanilla and sassafras with hints of clove and anise. Bayou Bootlegger felt more like a beer with essence of root beer than an actual hard root beer. Matthew enjoyed this one quite a bit. We did notice however, that it distinctly was missing the root beer scent. Mission Brewery Hard Root Beer– Mission Brewery’s Hard Root Beer uses traditional root beer notes of sarsaparilla and vanilla. That being said, it also has a very strong licorice flavor. We have had this hard root beer previously on tap and enjoyed it that way far more. Coney Island Brewing Company Hard Root Beer– Coney Island Brewing Company Hard Root Beer features hints of vanilla, licorice, and birch. Sarah enjoyed this one more than the guys and noted that while not quite as good as NYFHRB, it was the 2nd closest in the group to an actual root beer flavor. The unanimous vote for Best in Show was Not Your Father’s Root Beer. While each of the others had unique factors that we enjoyed, we all kept coming back to NYFHRB. It really embraced the flavor of root beer (which is very dangerous when it is in fact alcoholic). 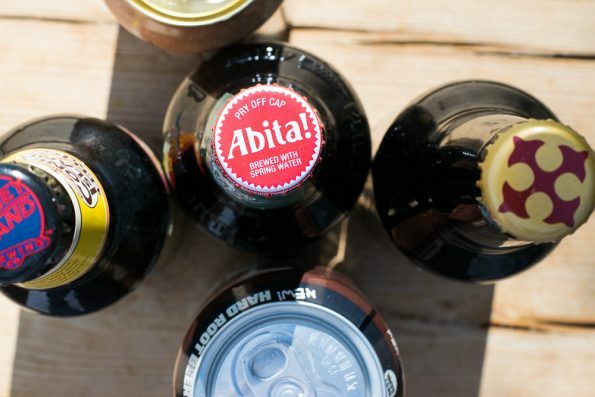 Which hard root beer are you a fan of? Is there one we’ve missed? We’d love to hear all about it! Leave a comment below or use the hash tag #GeekEats. Cheers! *The Geeks were not compensated or given any comped items to facilitate this write-up, beer descriptions were taken directly from breweries; All opinions are wholly our own. View our Disclosure Policy for more info.